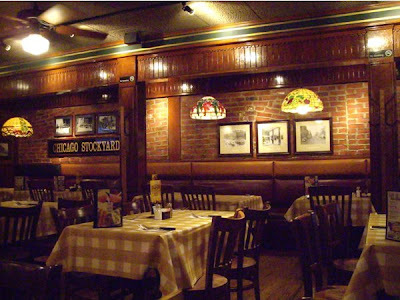 Uno Chicago Grill, Cambridge is part of a chain of restaurants found in 14 states throughout the US. They specialize in American specials as pizza, steaks, pasta, and burgers. I chose one of their new inventions, flat bread pizzas and was not disappointed. Uno Chicago Grill is located in Washington Street, at the heart of one the most famous university areas in the world, Harvard University. It is a charming place to be, in a small village in the middle of a major metropolitan area. Uno Chicago Grill is one out many at Harvard Square, and it is easy to enjoy all the square has to offer. 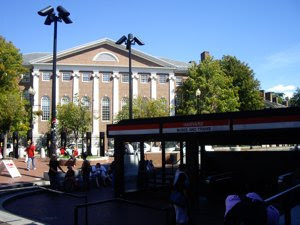 Take the red line from downtown direction Alewife and leave at Harvard. I liked the interior, felt being in a old factory building or basement. Red brick walls, dark chairs and tables neatly decorated with table cloths, and cutlery waiting for the guests to arrive. As this was an early lunch, not many were seated, but as time passed more came, and it was obvious that it was a popular place to hang out. Good service from the staff, and I was served promptly. I could choose from a large, reasonably priced menu. 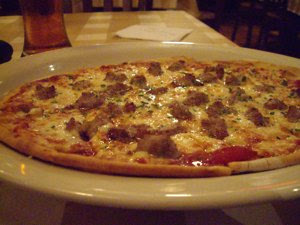 And what would be more tempting than a flat bread, Italian style, pizza. There were many to choose from, and I chose one with meatballs and plenty of garlic, and that was the real stuff. It covered the whole plate and when tucking into it I immediately got that Italian sensation, strong aromas of sweet garlic, meatballs with plenty of the same stuff and Italian herbs. Moist, but not soggy cheese and great Italian tomato sauce. If this pizza reflects the overall standard, I would not hesitate a minute to recommend it as a place to eat at Harvard. 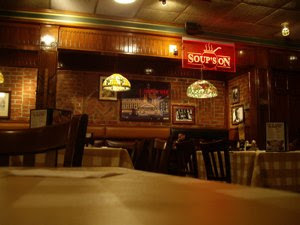 A reasonably priced, good meal served in the heart of Harvard Square. Nothing much to put your finger one and definitely a place to return to. It is very much recommended to try at least one per type when you come and visit the nearest Uno Chicago Grill in your area. You can enjoy the most succulent appetizers, thin crust pizzas and thick crust pizzas with your friends, family and loved ones whilst eating healthy at the same time.